I teach Romeo & Juliet to freshmen. So, how thrilled am I when a film does justice to a story and offers yet another visual option to help students connect with literature, especially their first taste of Shakespeare. This version is beautiful. 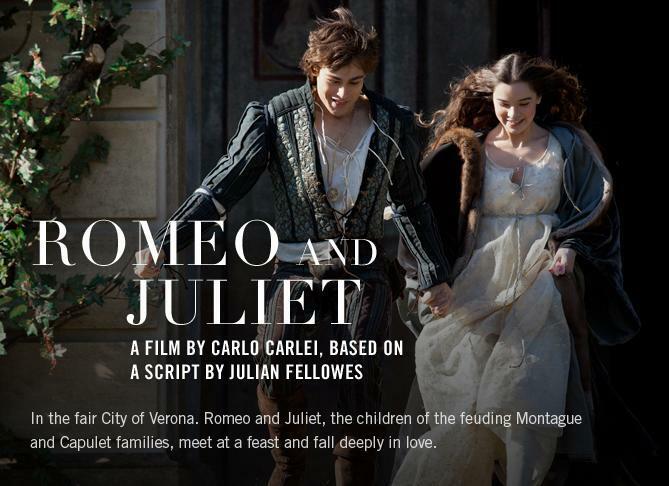 Filmed in the actual city of Verona in Italy, you feel transported by the orange-hued sunrises, the castled landscape, and the constant flavors in renaissance artwork layered on each backdrop. It’s visually perfect. 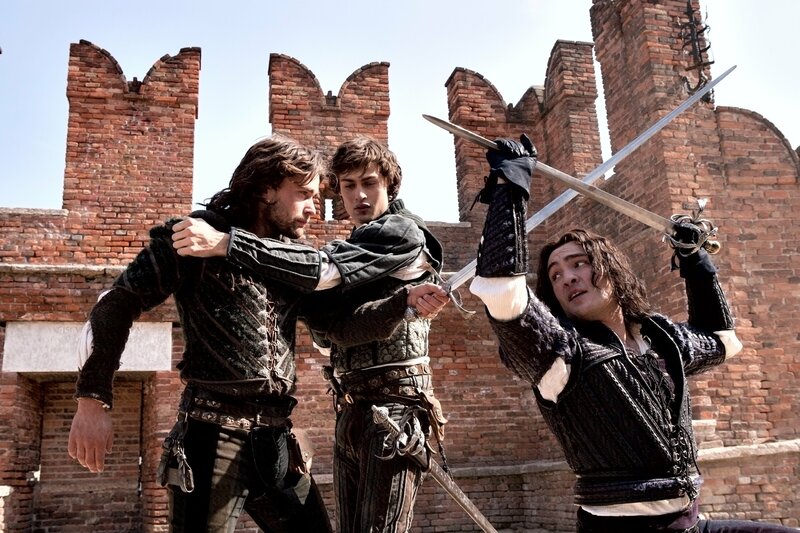 Certainly Julien Fellowes, Downton Abbey writer, takes his literary liberties as screenwriter, allowing for a medieval tournament and fewer characters. He does, however, speed up the action and include scenes and characters rarely enjoyed in film versions. He is also somehow able to keep it clean (classroom appropriate) without losing the romantic heart of the play. I believe that Shakespeare himself would have approved of Fellowes’s translation. Paul Giamatti, never before a favorite of mine, flawlessly endeared the Friar character and stole the show. Damian Lewis (brilliant as Winters in Band of Brothers and currently starring in tv’s Homeland) played Lord Capulet perfectly. His performance was unexpected and fresh. Hailee Steinfeld, the True Grit lovely, sweetened Juliet with youth and believability. The statuesque and stunning Douglas Booth played well the lovestruck son and heir Romeo. 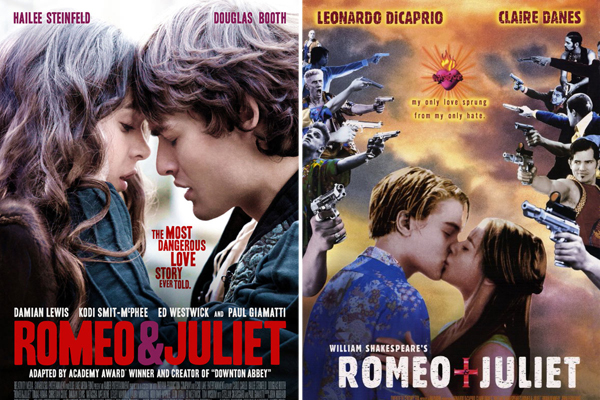 Any attempt at Romeo & Juliet begs a comparison. There is no better teaching tool to offer freshmen boys than replacing swords with guns, an orchard below the balcony with a swimming pool, and awkward tights with khakis and Hawaiian shirts. Baz Luhrmann‘s 1996 version with gorgeously brooding Fortune’s fool Leo and a pre-pubescent Claire Danes helps students relate and hear actual Shakespeare with modern connections. We scaffold to what we know, and suddenly learning is not a chore. Most stage versions cast the couple too old, so it’s a hard sell in a classroom. 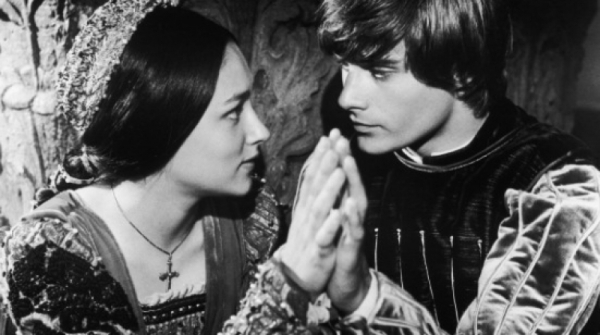 Zeffirelli’s classic 1968 version, though prominent in schools and sporting a boastable Zac Efron look-alike as Romeo, is now nearly unrelatable to students who mock the forced lines, abundance of cleavage, and laughable characterizations. Thank you so much for this insightful review. I’m excited to see it! Under my point of view the best versión filmed up to date from the shakesperian play was was filmed by FRANCO ZEFFIRELLI in 1968 with LEONARD WITHING and OLIVIA HUSSEY in the roles of Romeo and Juliet.The filming has had no flaws and I find it quite unbeatable.It will be very difficult to make a better versión.This 2013 versión doesnt reach even the heels of the Zeffirelli’s versión.